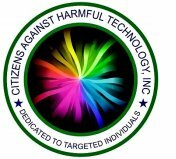 To receive email from CitizensAHT.org, add mail@CitizensAHT.org to your safe sender list. Please support the newsletter, information packets and distribution of booklets and brochures by contributing $15 for six months or $30 for a year's subscription/membership. If the donate button below does not work for you, go to the website at CitizensAHsT.org. If you have donated since January 2016, you will also receive a newsletter. If you have donated or are a member and for some reason you do not receive your newsletter, please send an email to mail@CitizensAHT.org. 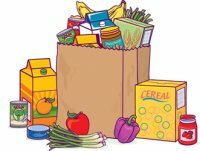 Grocery Fund-100% goes to food for TI's! Please make your donations now. They will go directly to a TI in need. If you would like to donate to the grocery fund on a regular basis, please set up a payment plan on PayPal. Please designate on your donation that you want it to go to the GROCERY FUND. Donate above or at CitizensAHT.org. NEW BROCHURE: Free to Members and for Events! This brochure explains directed energy assaults, implants, body sensor networks and phone stalking. Free to members and free for events. Free download on CitizensAHT.org. 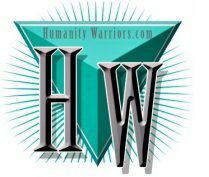 Please share your electronic harassment and stalking stories here. Find friends and share your experiences. This radiation and electronic harassment is going on all over the world. 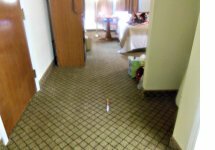 Here is testimony that shows your story is not an isolated event. While each person is targeted differently, the similarities join our parallel experiences. Do ambulances start their sirens when parked right next to you? Many TI's say they have ambulances, fire trucks or police cars cross their path repeatedly when in their vehicles. This is instance where a TI was entering Home Depot and 3 firemen appeared at the very same time and made it clear that First Responders have no manners -- First Responders First. They were not on an emergency call, it took all 3 of them to return an item at the returns desk. The government agency looks to open up the airwaves by allowing for civilians to hop on spectrum currently reserved for the Defense Department. Smartphones and military spectrum are needed to monitor Body Sensor Networks in everyone. INTERNET: What is an IP Address? What is a MAC Address? 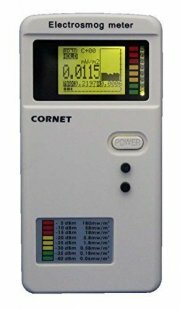 WHAT RADAR BAND IS DEDICATED TO LTE/WiFi BRAIN CONNECTION: 3550-3650 Mhz range? The radar bands (3550 to 3650 megahertz) could provide another way to provide long-range Wi-Fi with only small modifications to existing transmitters, known as small cells, that support existing LTE and Wi-Fi (see “Tiny Transmitters Could Help Avert Data Throttling”). Not everyone will get to use the Pentagon’s spectrum. Hospitals and other institutions with public safety functions —including utilities and law-enforcement agencies—would get first crack. It’s possible today to use sensors to detect if any transmissions are occurring in the 3550 to 3650 megahertz band. Any such transmissions must be military. “If it is shared, I can’t be sure who is using it,” he says. Implants in the joints heat up the tissues including cartilage, muscle and bone and degrade them. If you have been covertly implanted, and they are stimulating your implants to heat up your joints, it is necessary to block those frequencies with shielding. 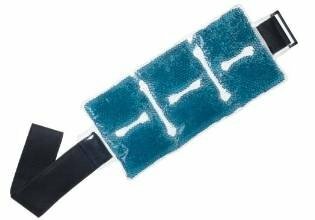 Use a EMF shielding fabric, aluminum tape or other RF blocking material. It is important to keep the heat out of the joints with ice packs or jell packs that keep them cool. When working with wireless networks, your neighbors may interfere with your network by generating traffic on the same radio frequencies you are using, or by using devices that encroach on the frequencies that you are using. This issue is especially true when using unlicensed radio frequency (RF) bands, but it is easier to deal with when using the limited licensed radio bands. All commercial wireless networking solutions operate in the unlicensed RF bands, and the RF bands where wireless networks operate are full of noisy neighbors. When a national regulatory body (such as the FCC in the United States) allocates a frequency range to be used for a function, it can also specify how the frequency range can be used or shared. In the larger electromagnetic spectrum, which includes the radio spectrum, the licensing of infrared and X-ray spectrums also exists. When hearing the term unlicensed, you may think there are no laws or that unlicensed radio bands are like the Wild West and people can do as they like. However, that is not completely the case: You must follow several regulations that cover the use of the unlicensed radio bands. The big difference between licensed and unlicensed bands is that the licensed bands are allowed to be used only by the company that licensed them, whereas the unlicensed bands are used by anyone who wants to use them. Unlicensed radio bands have been allocated to certain users by the government, but to be able to use and broadcast on these bands, you do not need to have a license; you only need to create compliant devices that are to be used. Regulations exist around these bands, so using unlicensed radio bands is not a free-for-all. In the United States, the FCC regulates all the electromagnetic spectrum, but it has set aside several ranges for public use. Industrial, Scientific, Medical (ISM): This type includes several medical monitors and other devices that operate in the 900-MHZ, 2.4-GHz, and 5-GHz bands. Unlicensed National Information Infrastructure (U-NII): This type defines the specifications for the use of wireless devices such as WLAN access points and routers in the 5-GHz band. Unlicensed Personal Communications Services (UPCS): This type defines the specifications for devices operating in the 1.9-GHz band, where DECT6 cordless phones operate. Wireless phone companies, such as Sprint and Rogers, have specific frequencies that only they are allowed to use by leasing them from the government. IEEE 802.11 networks have several choices of wireless bands that are available to them to use, without the requirement to lease the frequencies from the government. The downside of the unlicensed frequencies or bands is that anyone else can use the same frequency ranges, which can cause interference for the signals you are trying to transmit. So users of both licensed and unlicensed bands are required to follow a series of government regulations, but the unlicensed bands may be used by anyone who follows the guidelines and regulations. These guidelines cover issues like encroaching on neighboring frequencies and causing interference; so if everyone follows these rules, they will all be good neighbors, which is not always the case. A 32-year-long Scandinavian study of 1,400 middle-aged women reported that those with moderate consumption of beer (one to two drinks per day) had a reduced risk of heart attack. Alcohol, including beer, has anti-inflammatory properties, which is likely why it is linked with such positive implications for heart health, as well as other diseases triggered by inflammation <http://www.rd.com/health/conditions/anti-inflammatory-foods/>. A study published in /Arthritis & Rheumatology/, which included 1.9 million participants from the Nurses' Health Study (NHS), found that women who drank two to four times per week had a 31 percent decreased risk of rheumatoid arthritis compared to their fellow teetotalers. Beer and hops (as well as red wine and coffee contain antimicrobial compounds that may help fight unwelcome oral germs linked to plaque and gum disease. In an Italian study of 93 subjects, those who drank alcohol, including beer, tended to have fewer species of microbes in their mouths. While brushing and flossing are still paramount, enjoying a cold one may have a positive impact on your smile. A 3,654-person study published in the /American Journal of Ophthalmology/ found participants with moderate alcohol consumption had a 50 percent lower incidence of cataract surgery (versus non-drinkers and heavy drinkers) over a period of five to ten years. Antioxidants in wine and beer may be responsible for these benefits; a number of studies show that cataracts and macular degeneration are more prevalent when a diet is low in antioxidants. Kidney stones are tiny, hard mineral deposits that form inside the kidneys, which may be a result of dehydration or certain food choices. If you’ve ever experienced them, you know that they can be /very/ painful to pass. A /Clinical Journal of the American Society of Nephrology/ study following almost 200,000 participants found those imbibing about one beer a day had a 41 percent lower risk of forming kidney stones. Researchers believe this may be due to the diuretic properties of beer and other alcohols. Type 2 diabetes. A meta-analysis of 15 studies found that moderate alcohol consumption, including beer, may reduce the risk of developing type 2 diabetes by 30 percent. There may be many factors at play, including the anti-inflammatory effects of alcohol, according to study authors. Other research in people without diabetes has found positive effects of moderate alcohol consumption on insulin and triglyceride levels. It’s important to emphasize that moderate consumption is key; overdoing it may actually increase the risk of type 2 diabetes. 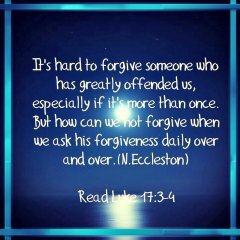 change, you must forgive him. 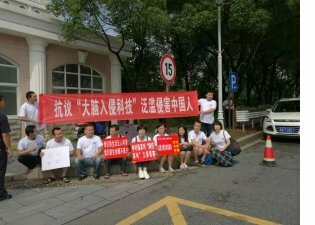 Protest in China against Directed Energy Weapons on June 20, 2016. IS OUT DAILY, PASSING OUT FLYERS, PROTESTING, ADDRESSING GOVERNMENT OFFICIALS AND LAW ENFORCEMENT AGENCIES AND ON SOCIAL MEDIA... EDUCATING EVERYONE WE ARE WITHIN REACH. This is a very high quality RF shielding material. It should be grounded so that any radio frequency will dead end at the ground. It doesn't out gas, does not break down & is completely nontoxic! Linqstat is a very stable carbon loaded product. It is the carbon which blocks microwaves. Make payment through PayPal or debit/credit cards at our donate button on our website, or by mail upon request. Be sure to state whether the payment is a donation, membership or Linqstat. (Shipping, tracking & insurance is included in the price). If you have not received requested booklets, newsletters, information or have any questions or problems, write to mail@CitizensAHT.com and we will see what needs to be done. Thank you for your patience. The information provided on this web site and those it links to, including embedded videos and other content from other web sites, is for educational purposes only. The information and products made available through this web site are not intended to provide medical advice, diagnose, treat, or cure any health conditions, or be construed as a therapeutic recommendation or prescription for any disease or symptom. The US Food and Drug Administration has not evaluated products or statements about specific products, health topics, or any suggested methods presented. Viewers should not attempt self-diagnosis or self-treatment of any kind, and should not discontinue any medication or therapy or make any health-related decisions without the advice of a licensed medical physician. You should consult with a physician or healthcare professional before starting any diet, exercise, or supplementation program, before taking any medication or nutritional supplement, or if you have or suspect you might have a health problem. Each person is different, and the way you react to a particular product may be significantly different from the way other people react to such product. You should consult your physician or healthcare professional regarding any potential adverse interactions between medication you are currently taking and nutritional supplements before taking any such supplements. Citizens Against Harmful Technology disclaim any liability, loss, or risk incurred, directly or indirectly, as a result of the use and application of the contents of this site. If you are unwilling to be bound by this disclaimer, you should not view this site or newsletter.